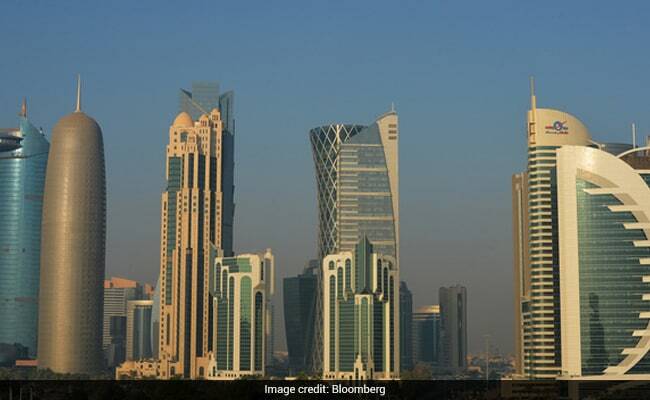 People in Qatar, dominated by a metropolis built on enormous wealth from selling natural gas, are trying to understand why their Gulf neighbors want to cut them off from the outside world to punish their leaders for supporting Islamic militant groups. It's Ramadan in the Middle East, but in the quiet streets and malls of the Qatari capital of Doha the reassuring routines of the annual fast have been interrupted by an incomprehensible shock. People in this tiny country, dominated by a metropolis built on enormous wealth from selling natural gas, are trying to understand why their Gulf neighbors want to cut them off from the outside world to punish their leaders for supporting Islamic militant groups. At least one supermarket is limiting purchases, the airport is no longer bustling and families are being separated in a region where nationalities are interwoven. For many Qataris the shock of waking up on Monday to the showdown with Saudi Arabia and the United Arab Emirates hasn't worn off. Nor can they make sense of the accusations that Qatar is destabilizing the region by sponsoring terrorism. The country's U.S. ally, under President Donald Trump, also backs the isolation. "The emotional damage is much greater than any financial or other damage," said Hessa Almuhannadi, 30, a Qatari mother of a two-year-old daughter whose family had to return from a pilgrimage to Saudi Arabia via Kuwait when flights were stopped and their credit cards blocked. "What has changed is trust." The sense of unease, if not panic, comes from not knowing how this will play out as they watch for updates mainly on social media. There's speculation among analysts of regime change, though no sign that the emir, Sheikh Tamim bin Hamad Al Thani, is about to yield to claims his government says are unfounded. Qataris, on the other hand, are busy confronting the now. For Doha cartoonist Abdulaziz Yousef, it's about keeping calm rather than making people laugh. One of the cartoons he drew after Qatar's quarantining depicted grandmothers from the six countries in the Gulf Cooperation Council holding hands to highlight the ties that bind the region. It was published in the Raya newspaper, one of the main dailies. "I had so much anger inside of me and I didn't want to express it," said Yousef, 34, as he sipped a latte on Wednesday evening. "Instead of being funny I'm trying to be proud. I'm trying to urge people to calm down and remember we have stronger ties than what's going on." Though Yousef said he's hopeful the crisis will be resolved, he's being careful with his money. He, like other people, he said, are now keeping cash on hand. Supermarkets in Doha, a city of 1.3 million people with glitzy hotels, glass buildings and a roster of foreign workers to rival Dubai, have seen lines of dozens as shoppers stocked up on rice, chicken and other staples. At one, workers were replenishing empty shelves that usually held Saudi-made dairy products with German-made chocolate pudding. A notice placed at shelves with milk produced by Saudi companies, including Almarai, told customers that they are limited to three items only. Some Qataris urged friends and foreign residents to buy Qatari-made products. The action is the latest culmination of growing animosity that's been brewing for years. Qatar's wealth from the gas field it shares with Iran paid for a divergent foreign policy, including financing the Muslim Brotherhood in Egypt and militants opposed by the Emiratis and Saudis in Syria. For Saudi Arabia, the U.A.E., Bahrain and Egypt, the unprecedented action taken to punish one of the region's financial superpowers is having its desired effect. They said it's aimed at the Qatari government and not the people. The four countries have halted air, sea and land travel to and from Qatar. Doha airport's huge arrival hall, the gateway to the world's richest country per capita, was almost empty on Wednesday evening. Frequent travelers said it used to teem with passengers from Riyadh, Abu Dhabi and Cairo. The following day, the U.A.E. banned all international flights serving Doha from flying through its airspace. "I'm worried about what comes next," said Qatar University professor Khaled al-Jaber, 45. "I feel like there's something going on that's going to really destroy this region. Terrorism has become a brand name to be slapped against countries whose policies you don't like. We're entering a dark tunnel." As ever, life goes on. Construction workers were on the site of new office blocks and residential apartments. Traffic on Doha's wide, palm-tree-lined boulevards was light in the morning, though they traditionally are during Ramadan. The row also goes beyond economics, politics and claims and counter-claims of who supports Islamic terrorists. There are deep cultural ties that are being questioned. The descendants of Sheikh Mohammed bin Abd al-Wahhab, the 18th century imam whose ascetic brand of Islam dominates Saudi Arabia, have demanded that Qatar remove his name from its biggest mosque, which opened in 2011. A statement last month that bore the signature of Saudi Arabia's mufti said the emir falsely claims he is a descendant of the cleric. Yousef, the banker-turned-cartoonist, said he had cousins in the U.A.E., his brother is married to a Bahraini and he has family in Saudi Arabia. He also owns an apartment that's under construction in the U.A.E. that he still pays for but cannot visit. Qatari mother Almuhannadi said a young Emirati friend is trying to come to terms with having to leave behind her four-month-old child because he's Qatari. It involves nations who speak the same language, follow the same religion and eat the same food. "Whatever political issues are going on, they shouldn't involve the people," she said. "We have the same dress code, we have the same culture, we have the same history." "Maybe the hug is not very tight at the moment," she added with a laugh. "But we are embraced by history, culture and blood."